Cioppino pasta | Let's Eat! I have made Cioppino many times and I usually end up throwing away the amazing sauce that is left after all the seafood is gone. 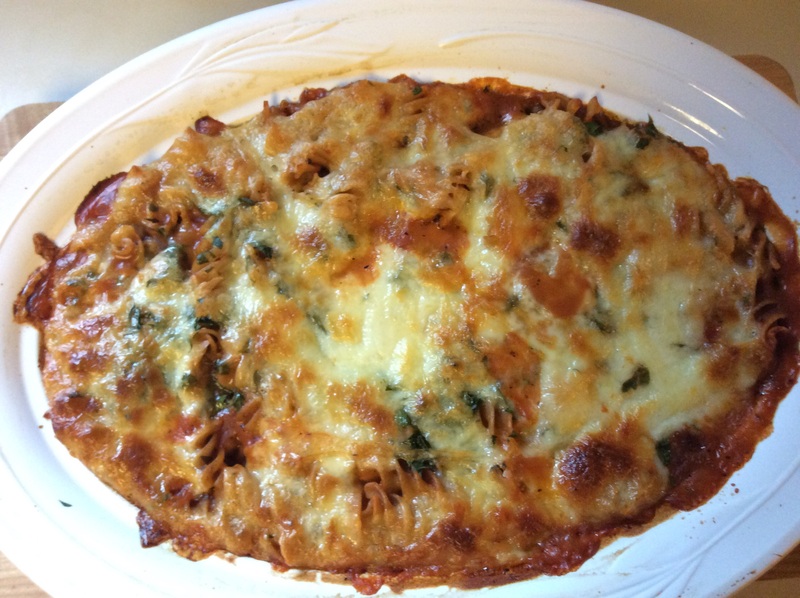 This time I was determined to do something with it and it turned out delicious! If you like Cioppino, you’ll love this. For those of you who feel cheese should not be used on seafood dish, turn the other cheek and give it a try! This one is a hit and it’s a great way to use the flavorful sauce left behind after making Cioppino! 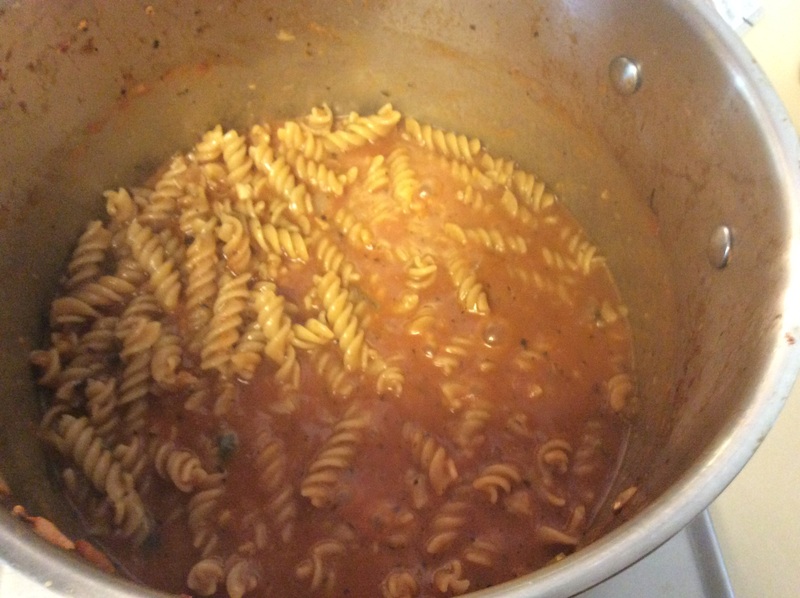 After all the seafood is gone, add the pasta to the pot and boil it until the pasta is al dente. 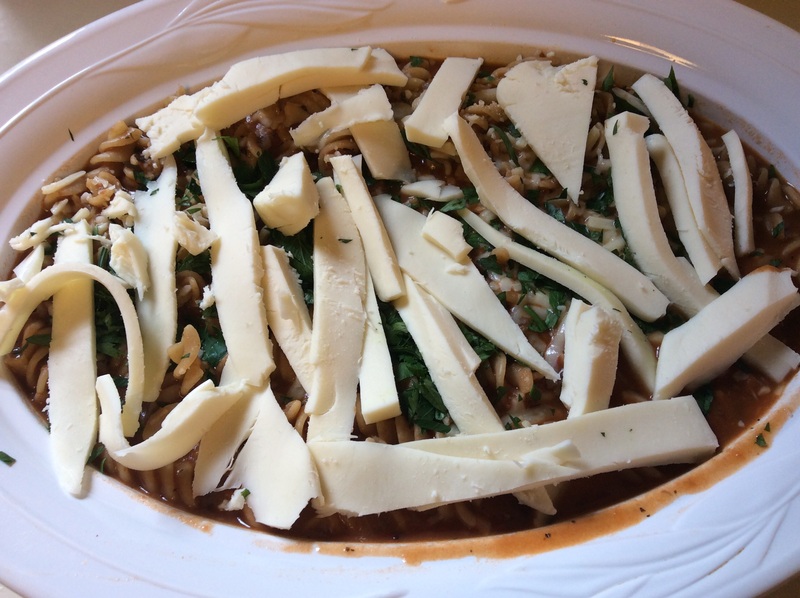 Pour the sauce and pasta into a baking dish and top with parsley, parmesan and mozzarella cheese. I realize that traditionalists don’t mix seafood and cheese, but I assure you this works. It doesn’t actually have seafood in it, just the amazing flavor the Cioppino stew has! Try it, you’ll love it! Bake in the oven for 30 minutes or until the cheese is melted and turning golden brown. Check out http://www.sundaywithachanceofmeatballs.com for more amazing recipes! This entry was posted in Leftovers, Main navigation, Recipes and tagged Cioppino, Cioppino left overs, Cioppino Pasta. Bookmark the permalink.